Batik is often thought to be a native Indonesian textile. 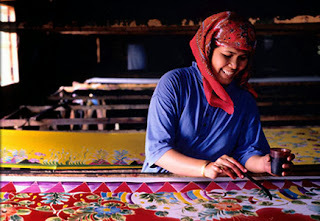 In fact, the term batik is known to have been derived from an Indonesian word pronounced as ‘ba-teek’. Batik textile designers usually use silk or cotton fabric, as the base for their attractive designs, which feature flowers, plants, leaves, birds, insects, fish and various geometric forms. Different forms of batik can be distinguished by the ‘crackle’ or the veining that appears throughout the design as it unifies color and composition. The art of Batik textile painting was brought to Malaysia from neighboring Indonesia in the 7th century, during the reign of the Melayu Kingdom of Jambi. Historical records indicate that trading relations existed between this kingdom and various coastal batik producing centers in Java. 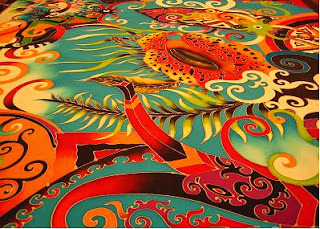 Batik textile painting is prevalent all over Malaysia but is especially widespread on the eastern coast of peninsular Malaysia in states like Kelantan, Terengganu and Pahang. Malaysian artisans traditionally made use of either the ‘Tulis or Conteng’ method or the ‘Cap’ While using the ‘Cap’ method, the artisans also used strips of tin or copper previously impressed with the design to be produced. These traditional methods of batik production have now been replaced by modern methods like free-style drawing, silk-screening, tie-dyeing and block-printing. method to produce their wonderful, much sought after batik textiles. The ‘Tulis or Conteng’ method of producing batik featured the use of a pen filled with hot wax to outline a design on the fabric. Once the outline was drawn on the fabric, the colors were then filled in. The ‘Cap’ method involved the application of wax directly onto the cloth. 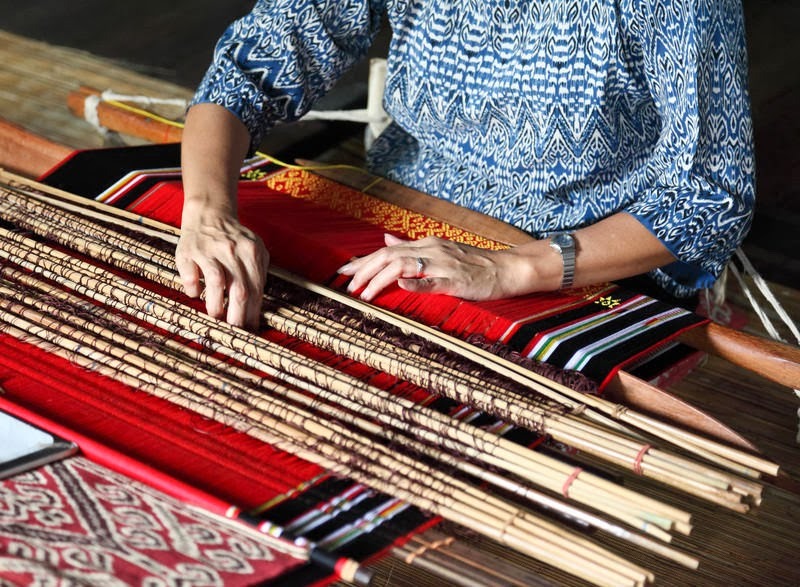 Products made with batik textiles like shirts, dresses, sarongs, pareos, handbags, soft-furnishings and more make for popular souvenirs from Malaysia. Additionally Malaysian batik shirts pass as formal attire for men in Malaysia and thus are very popular. It is bound to enhance the beauty of your wedding garb and also ensure that you are sporting a one-of-kind creation, so important for a bride or groom on their wedding day. 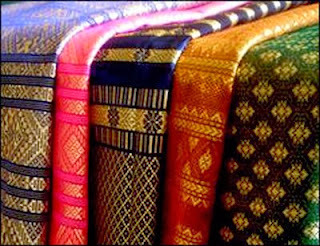 Yet another signature fabric produced in Malaysia is the sumptuous songket. This brocade-like fabric was once used to make robes for sultans and other royalty though nowadays it is even used to make wedding robes, dinner jackets, wedding gowns, handbags, tablecloths and even tissue-boxes. Songket is a hand-woven textile, which is created by weaving gold and silver threads into the fabric. The weaving of songket is especially popular in eastern Malaysian states of Kelantan and Terengganu. The plush songket would be ideal for Indian wedding attire and if you are planning a wedding why not consider using the rich, Malaysian songket for your Lehenga or Bandh gala? A visit to Malaysia would be incomplete without the purchase of a product made with either of these two signature Malaysian fabrics.